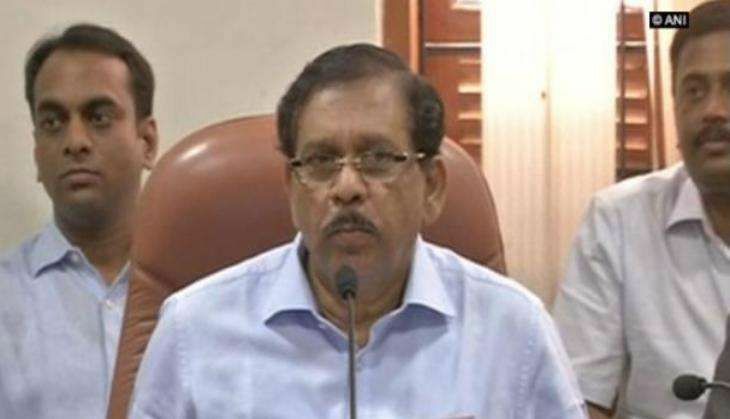 Drawing flak for his remark on the Bengaluru molestation incident, Karnataka Home Minister G Parameshwara on Thursday that he has been quoted "out of context". Addressing a press conference, Parameshwara said incidents like the one that took place on New Year eve must not bring a bad name to Bengaluru. "Bengaluru has always been peaceful for women. My quote about the New Year's eve molestation incident has been interpreted out of context. I haven't said Bengaluru incident is expected. My reference was that these kinds of New Year celebration go on," he said. Parameshwara said the state administration had taken all precautions to ensure that no untoward incident takes place on the New Year's eve. "Security was clear. Around 70 cameras were allotted there. Woman staff and senior officers were also at the spot. The DCP, Additional Commissioner, all were there," he added. Responding to the NCW's notice against him over his objectionable remark, Parameshwara said that he would reply to them and also put forth his views before the Governor, who has asked for a report. The Home Minister also threw light on the precautionary measures that would be initiated by the state government to ensure that no untoward incident takes place in future. "We will increase CCTV installation, will install 5000 CCTVs. We will also increase number of Dial 100 24/7 helplines from 15 to 100. We have 15 Dial 100 lines. Now, we'll increase up to 100," he said. A day after a large number of women were allegedly molested by mobs on MG Road and Brigade Road in the heart of Bengaluru while ringing in the New Year, Parameshwara responded by saying "these kinds of things do happen". The Police, too, said women are often molested during such celebrations and no case had been registered as complainants hadn't come forward. Taking strong exception to Parameshwara's remark that youngsters' "western ways" were responsible for the mass molestation in Bengaluru on New Year's Eve, NCW chief Lalitha Kumaramangalam sought his resignation. The Commission also issued notices to Parameshwara and Samajwadi Party leader Abu Azmi for making sexist comments regarding the molestation. NCW Chief Lalitha Kumaramangalam said while notices were issued to Parameshwara and Azmi, a letter was sent to the Karnataka government on Monday to enquire about the action taken in the molestation case.